Often the first encounter with the city begins with a train station or airport. To Bukhara, visitors come more often in cars and buses, but the airport "Bukhara" also frequently receives guests. In 1999 it gained the international status, enabling it to receive aircrafts of any class. The development of this airport began in 1997, when the air terminal was built, which met all international requirements. At that time, its handling capacity was 150 people per hour. The development of the tourism component of the city's economy was the incitement. Arrival and departure halls were equipped with the most modern equipment; work of shops, cafeterias, medical centers was improved at the air terminal. The decoration of the halls, made in traditional style, dispose guests to the warm welcome and oriental hospitality. Among other things, in 2008, the airport "Bukhara" became the gold prize winner of the contest "Best Airport of CIS countries”, and took the lead over many rivals on such signs as architectural design, security, information services and internal infrastructure. In the second half of 2009 the reconstruction of the airport began, and now its handling capacity is 350 passengers per hour. There are daily domestic flights, and weekly international. 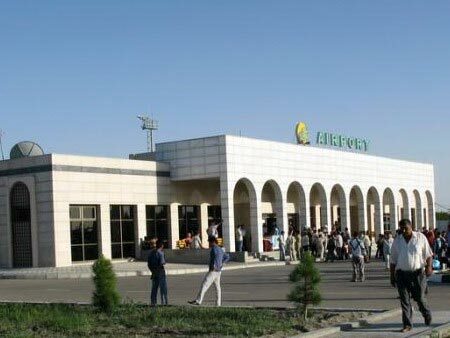 The airport of Bukhara is not the global aviation giant, but the friendly complex where you will feel respect and care.